This time each year marks the beginning of a vicious cycle. When Spring finally appears after a long winter, I start dreaming about tranforming our yard. 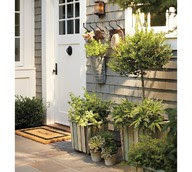 I plan what I'm going to put in my outdoor planters and window box, and what new perennials I will add to the garden. When the danger of a frost has ended, I go to the nursery, load up my cart with pretty flowers and head home to plant. Everything looks really great ... for awhile. Then some issues start to arise. 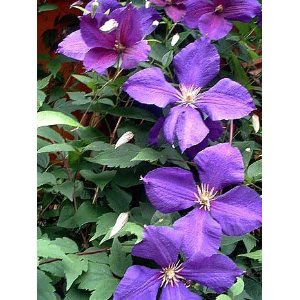 My jackmanii clematis seems to be withering on my arbor, and upon further inspection, I realize my husband has gotten a bit overzealous with the weed wacker and severed it from its roots. Our goat dog seems to think the window box is a second food bowl, and helps herself to most of the flowers. 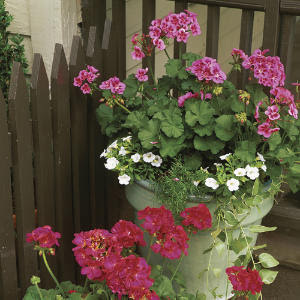 Note to self: plant geraniums. The dog doesn't like them. The surviving flowers are choked by the summer heat. I can't keep up with the watering, deadheading and fertilizing, and eventually, I lose the battle. I look out at my pathetic flowers, and I can't wait for Fall so I can replace them with mums. I admit it. I'm a serial plant killer. But, I'm trying to change my ways. 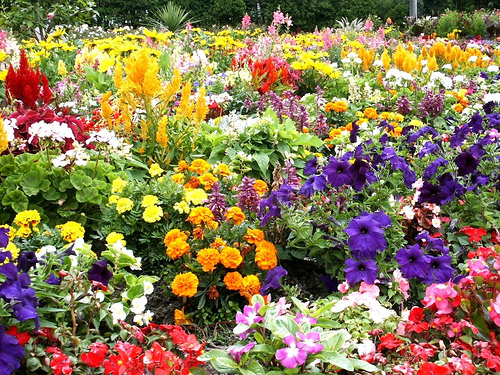 What about you... Do you have a green thumb? What are you planting this year? My thumb is pretty brown. If not for sprinkler systems and drip irrigation for the veggies--I would have nothing but dirt outside. Well, and prairie dogs. You sound a lot like me, I go to the nursery, load up--full of hope and a vision of floral beauty. It never seems to change though. 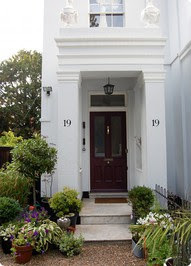 I would like to move the tree that is our front yard this year (it's been struggling for years) and replace the surrounding 'island' with plain grass. There's always things I would like to change--it's just getting the CFO to sign off. I do okay but my problem is a very shady lot. It's so so hard to grow a pretty variety when everything you love needs full sun. I'm still experimenting and having 2 failures for every success. I completely understand your stuggles with your gardening. We all do. 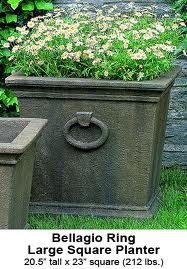 Container gardening is a great way to go! You can move them around as the weather gets hotter into shadier places! Also, I have had really great results when I have amended the soil in my beds and/or replaced the soil in my containers with that Miracle Grow Moisture Control potting soil. It really helps keep my plants happy even when I forget to hit them with the hose. It is a little pricier, but when you think about the investment you are making into your plants, it's worth it. Just a suggestion. Try it! Have fun! I love your ideas for planters. 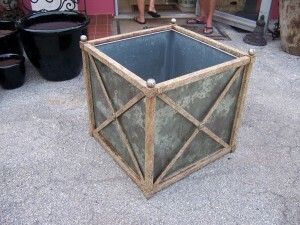 I bought cement planters in different sizes in the back from our house at a salvage place and new urns for the front from Compagne...all pretty expensive, unfortunately to get the look of aged concrete like in your last photo. 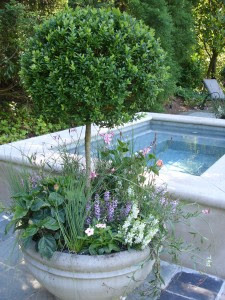 I put small kumquat trees in ours with pebbles at the base (for that provencal look). Can't wait to see what you come up with...although what you have is pretty. As far as a green thumb, my dad has one and some of the green has rubbed off onto me, not that I haven't killed my fair share of plants, but after last year with successful planter-grown green onions and peppers, in hot Spain, I feel way more confident. Best of luck to you! don't forget about the lemonade or tea on the porch after the work is done!